This year’s Pancake Day, a.k.a. Shrove Tuesday or Mardi Gras, will be celebrated on Tuesday 13 February. In celebration of this fabulous excuse to eat stacks of pancakes, we’ve asked friends and chefs for their recipes and thoughts on these delicious discs of batter. 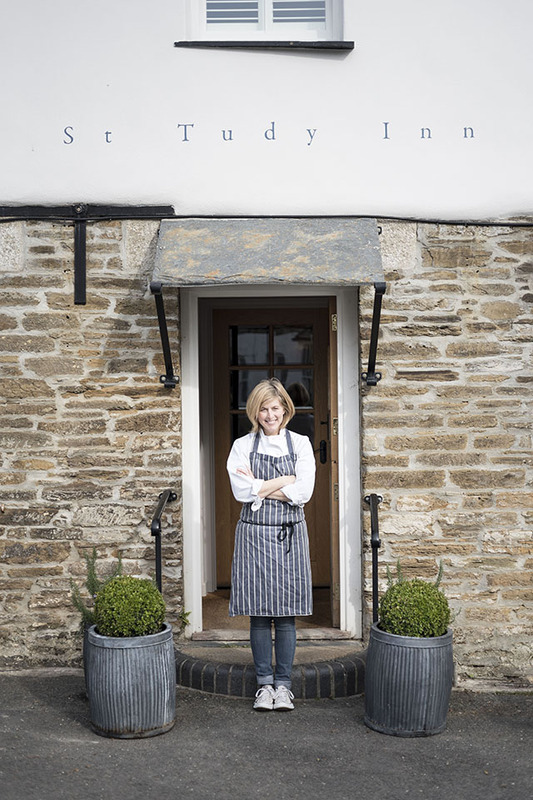 Recipe by AJ, head chef at The Sharksfin in Mevagissey. Mash up the two bananas then add the buttermilk and whisk. Add the three eggs and the three tablespoons of butter and whisk together. In a separate bowl add the flour, sugar, baking powder and salt and mix together . Combine the two bowls together and mix until you get a thick pancake batter. 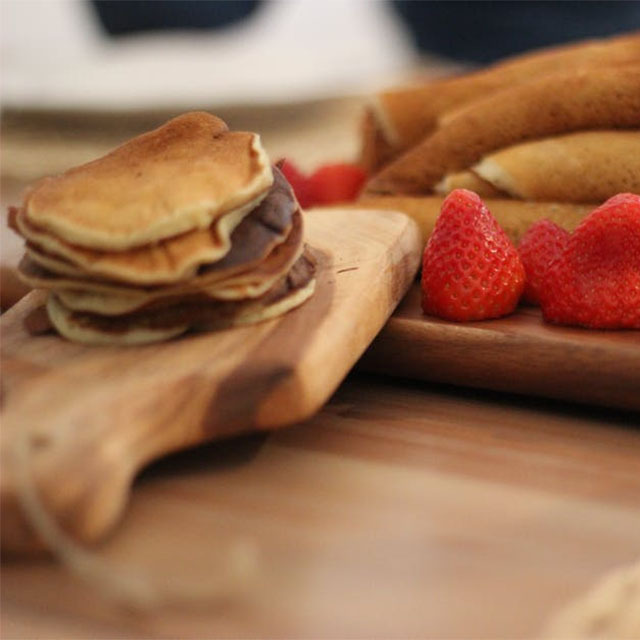 “I’m a big fan of pancakes in many forms. Spinach pancakes with horseradish crème fraîche, smoked salmon, and poached eggs are always a big hit. Or smoked haddock with creamed leeks on a yeast pancake stack. 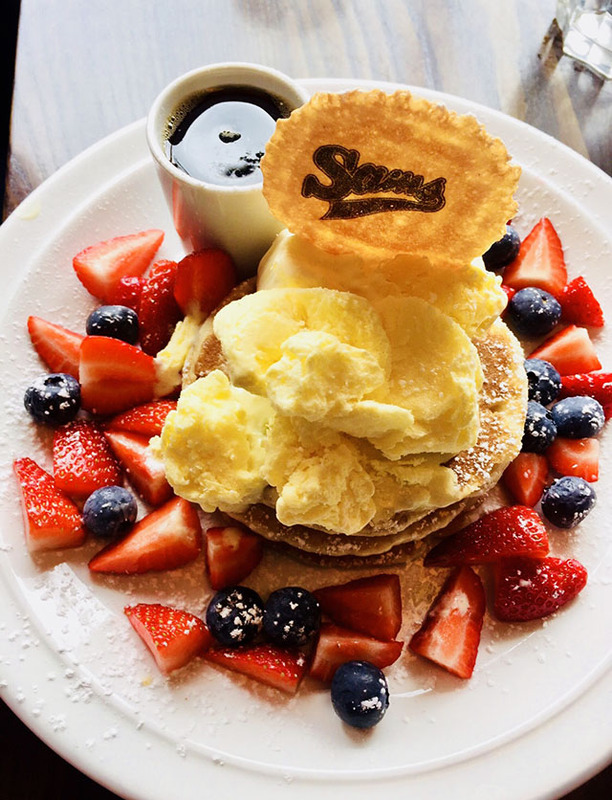 These super-healthy pancakes from the team at Sam’s Diner are gluten free, and dairy free (if you don’t have ice cream on them). In a mixing bowl, combine all dry ingredients and stir well. Add the mashed banana to the mixing bowl with lightly beaten eggs, almond milk and mix well until smooth (add more milk if needed). Grease a non-stick frying pan with coconut oil and heat it over medium heat until evenly hot. Spoon 1 pancake batter’s worth of mixture into the frying pan. Flip when bubbles form. Transfer to plate and continue with remaining batter. Serve with fresh blueberries, raspberries, strawberries, banana, coconut or maple syrup, and enjoy! Add ice cream and dust with icing sugar if feeling decadent. Maple syrup, to drizzle, golden syrup is a winner too. Make a well in the centre and add the eggs, milk and melted butter. Stir well to combine and make a smooth batter. Leave to rest for 20 minutes in the fridge. Place a large non-stick frying pan over a medium-low heat. Brush the base with a little butter and when the pan is hot, ladle a small amount of batter into the centre of the pan. Cook for about two minutes until bubbles begin to appear on the surface, gently turn the pancake and cook for a further two minutes. Remove to a warm plate and keep warm in a low oven while you cook the rest of the pancakes. The first pancake is disappointing – this is usual – the rest will be perfect. Serve the pancakes topped with a knob of butter and a generous drizzle of maple syrup. Or classic lemon and sugar pancakes. “My favourite recipe is for Nigella’s American pancakes (although I find 2.5 tsp of bicarb is way too much…it’s better with half a teaspoon). Here’s the recipe. From Ben and Sam Quinn, Canteen Cornwall. 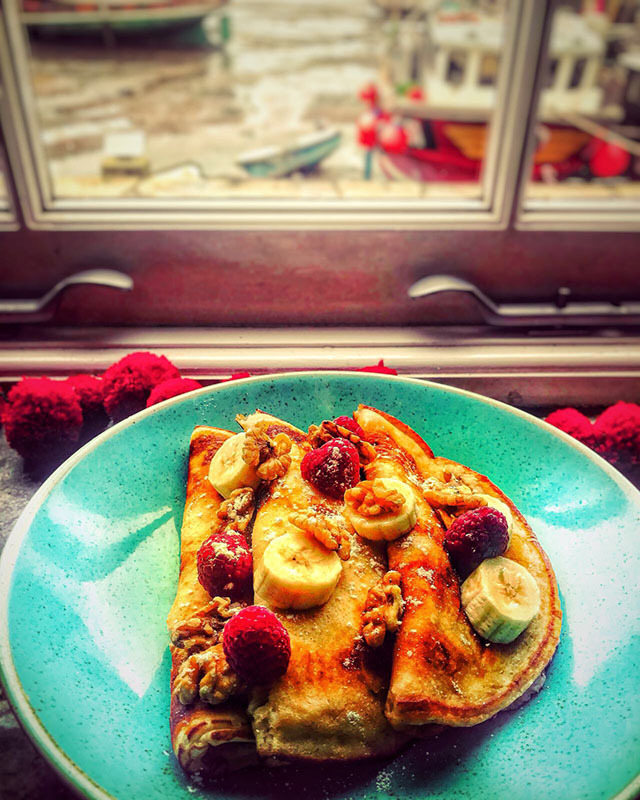 Keep an eye on their Instagram feed to find out more about their brunch club, where you may be lucky enough to eat pancakes…. These are like drop scones, but a bit puffier. They work well with any seasonal fruit and melted chocolate. Whisk the yolks and half the sugar until ribbons show in the mixture from your whisk. In a separate bowl, whisk the egg whites with the other half of sugar until light and fluffy. Stir the two egg mixtures together and sieve in the flour and baking powder, fold this carefully with a metal spoon until the mixture just comes together. Heat a heavy fry pan until medium hot and rub a knob of butter or oil around the pan. Pop the batter into the pan in big blobs with enough space between them so as not to stick together. Wait for them to go golden brown and than gently flip over. Prepare the chocolate by melting in a microwave or over a bain marie, and slice the fruit. 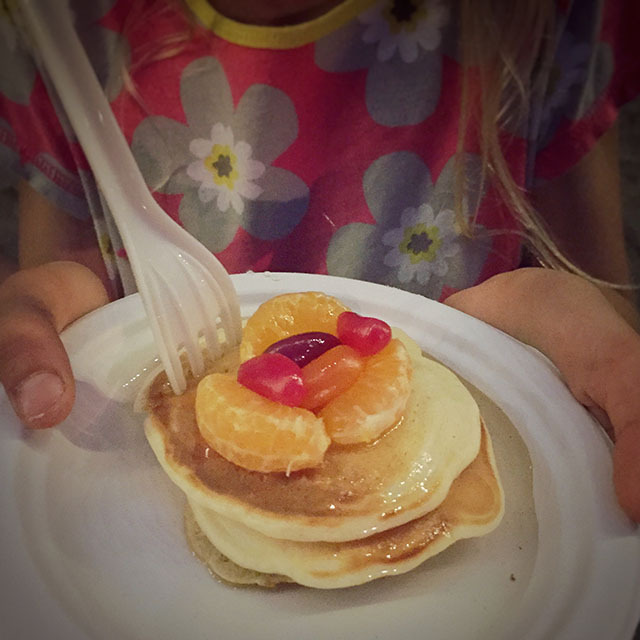 We pile the pancakes high on a plate and pour the fruit and chocolate all over the top it. than sprinkle over the icing sugar and serve. 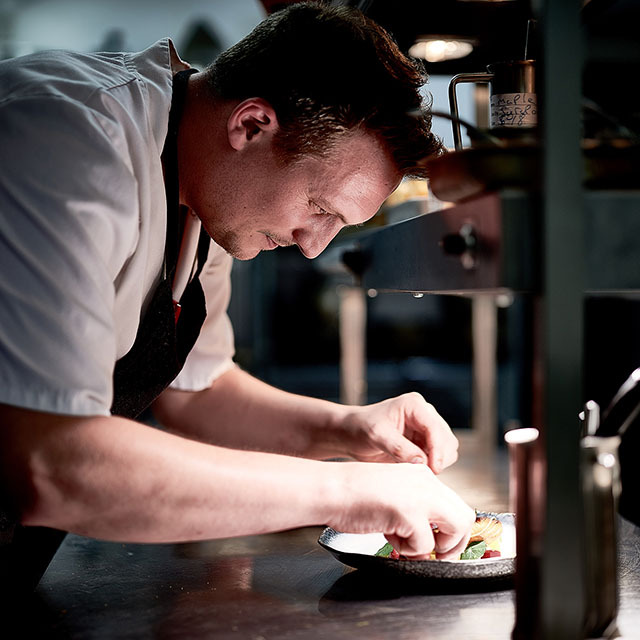 Recipe from Jeremy Trivett, head chef at Treviskers Kitchen & Dining. Make a batter with the rest of the ingredients and fold in the egg whites. And finally, here is my recipe for classic crêpes, which works every time. Just remember the egg:flour:milk ratio is 1:2:5, and it’s important to have a good, heavy, non-stick pan. Put the flour in a mixing bowl, add the eggs and a slosh of milk and whisk with an electric mixer until there are no lumps. Slowly add the rest of the milk to make a smooth batter, and then stir in the melted butter. Meanwhile heat the crêpe pan on a medium heat. When the batter is ready, add a small piece of butter (about the size of a dice) and quickly swoosh it around the pan, then immediately pour in a ladleful of the batter and swirl it around so it reaches the edges. Once the edges start to look cooked, and there are bubbles appearing in the middle, flip it over with a spatula, and cook for another 30 seconds or so until the other side is cooked. 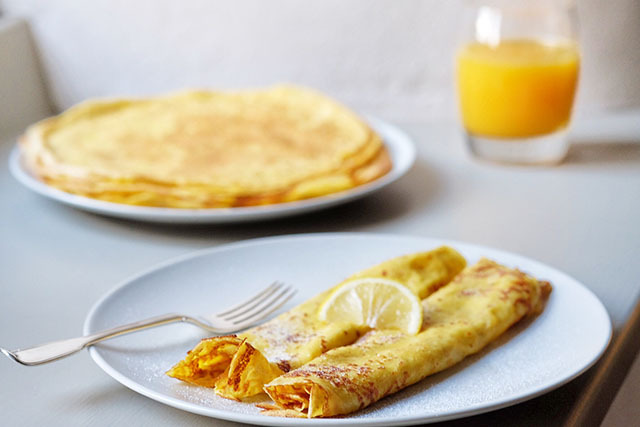 Sprinkle with sugar and a squirt of lemon juice, then roll up (catch the edge of the pancake between two prongs of a fork, and turn the fork to roll) and add a little more sugar and lemon juice to taste.